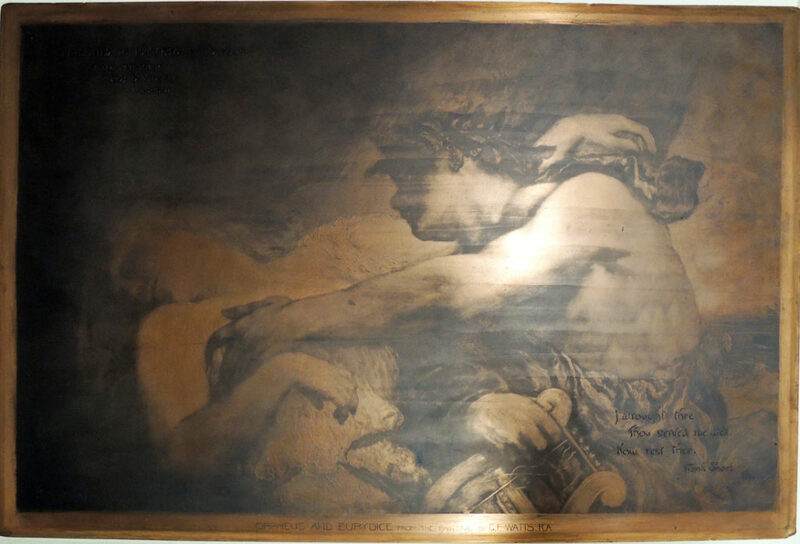 Copper plate Engraved by Frank Short (1857-1945) after a painting by George Frederick Watts (1817-1904), [Mezzotint copper plate for] Orpheus and Eurydice, 1889. Engraved top right: London. Published Oct. 1st 1889 by Rob. Dunthorne at the Rembrandt Head in Vigo Street. W. Graphic Arts Collection GC148 Printing blocks and plates collection. Paper print Engraved by Frank Short (1857-1945) after a painting by George Frederick Watts (1817-1904), Orpheus and Eurydice, 1889. Mezzotint. 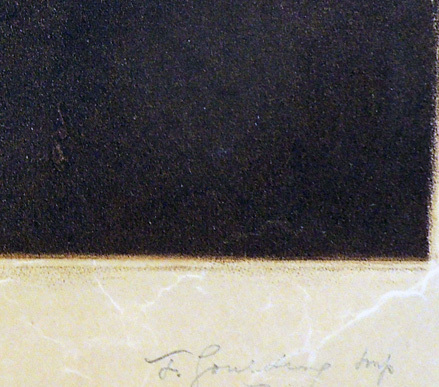 Edition: 300, printed by Frederick Goulding (1842-1909) for Robert Dunthorne. Inscribed top right: London. Published Oct. 1st 1889 by Rob. Dunthorne at the Rembrandt Head in Vigo Street. W. Mezzotint. Graphic Arts Collection GA 2005.01549. 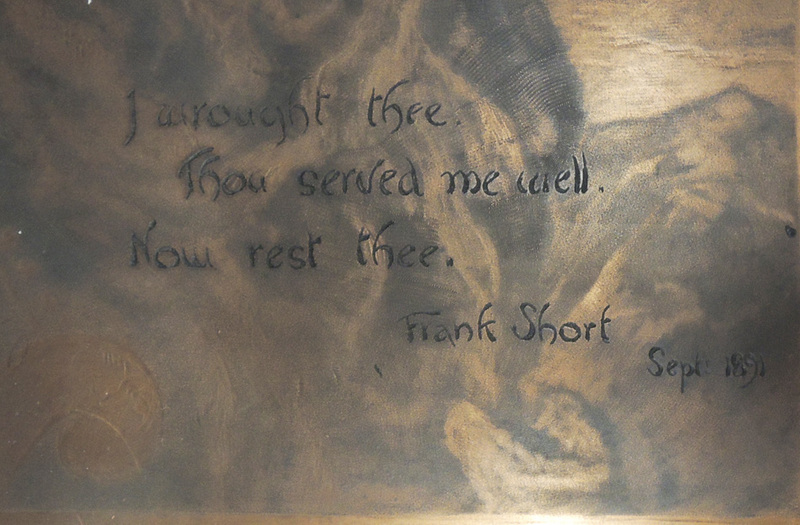 When we were asked if we had an example of mezzotint engraving in our copper plate collection, this was the first to emerge. From 1880 forward, the London print dealer and publisher Robert Dunthorne (born ca. 1851) was the official publisher to the Royal Society of Painter-Etchers and Engravers and manager of the Dunthorne Gallery on Vigo Street. By 1881, he changed the shop’s name to The Rembrandt Gallery, making sure to include this on each of the prints he published. 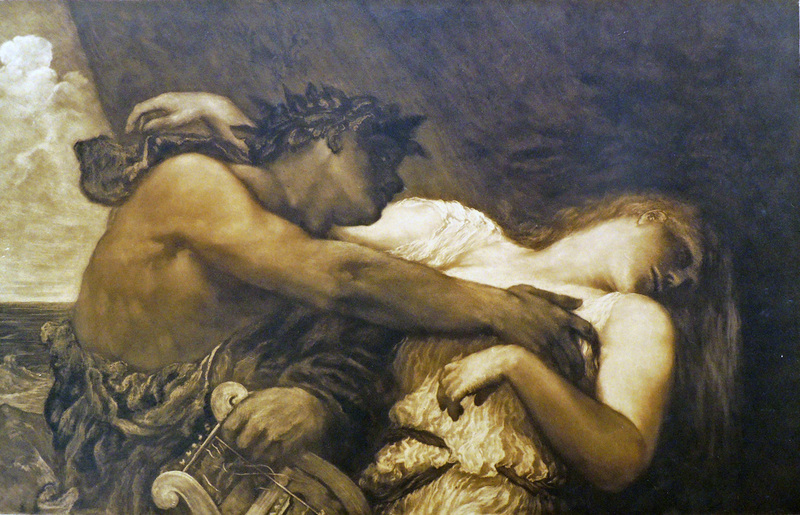 In 1889, Dunthorne commissioned a mezzotint of the painting Orpheus and Eurydice by George Frederick Watts (1817-1904), one of several Watts did on the story of these lovers. The difficult job of mezzotint engraving was given to Frank Short (1857-1945) and the plate of printed by Frederick Goulding (1842-1909). 300 sheets were printed and barely two years later, Short retired the plate, carving this phrase into the bottom right: I wrought thee. / Thou served me well. / Now rest thee. / Frank Short Sept. 1891. Probably not long after this, Dunthorne presented the plate to “Princetown College” (the name was officially changed to Princeton University in 1896). No record of the gift is recorded in any of the college newspapers or yet found in library records. A copy of the print has been added to the collection so plate and paper can be viewed side-by-side, not only as a beautiful work of art but also a wonderful teaching tool. 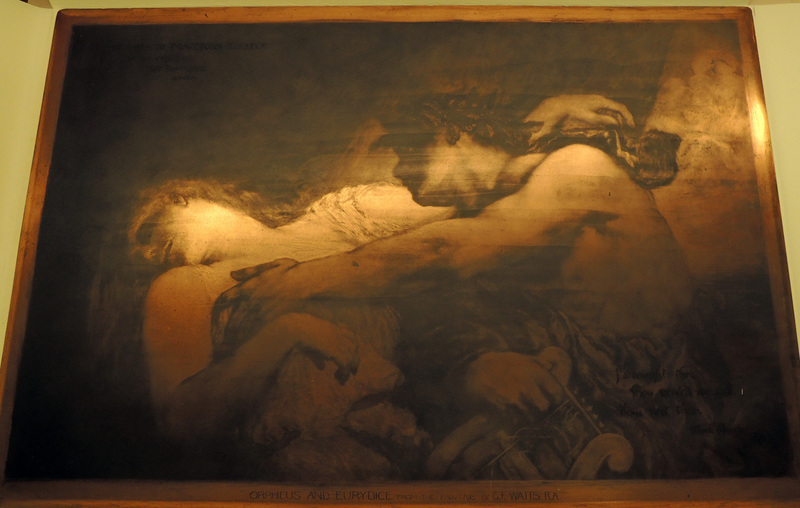 Orpheus and Eurydice from the painting by G.F. Watts, R.A.
Copper plate lit from above with less contrast. This entry was posted in Acquisitions on April 22, 2017 by Julie Mellby.